Corbin & King, the restaurateurs team responsible for the likes of The Delaunay, The Wolseley, Bellanger and Brasserie Zedel, are heading to St John’s Wood for their next place. 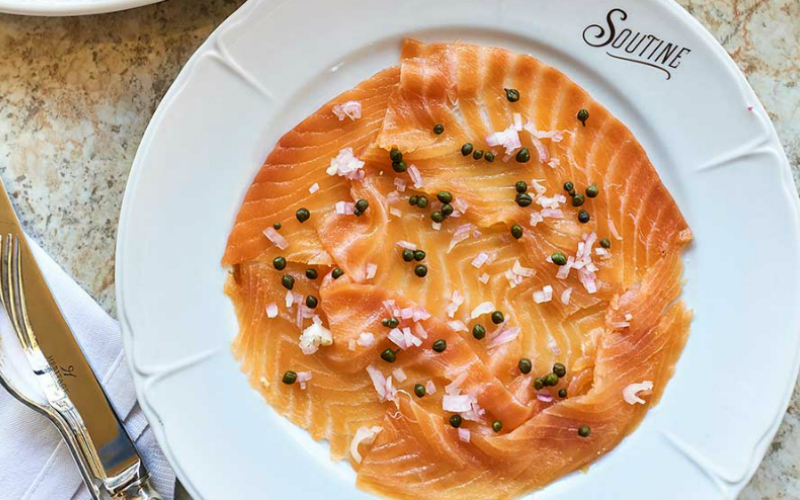 Soutine, opening at the end of April, will be an all-day cafe-restaurant (cafe with bar counter seating up front, restaurant in the back) serving up French food with Russian influences. We don’t have any menu deets yet but we do know that Soutine, though it will have a similar feel to both Fischer’s and Colbert, is a bespoke restaurant and not the first in a chain. It’ll also draw inspiration from the history of St John’s Wood (the area has always been home to artists), so there’ll be murals on throughout the space. Sounds like Soutine will be another guaranteed hit for Corbin & King.